These beautiful self catering accomodations are situated within an Area of Outstanding Natural Beauty in the world famous Glens of Antrim. We have enjoyed everything about this lovely part of the world. 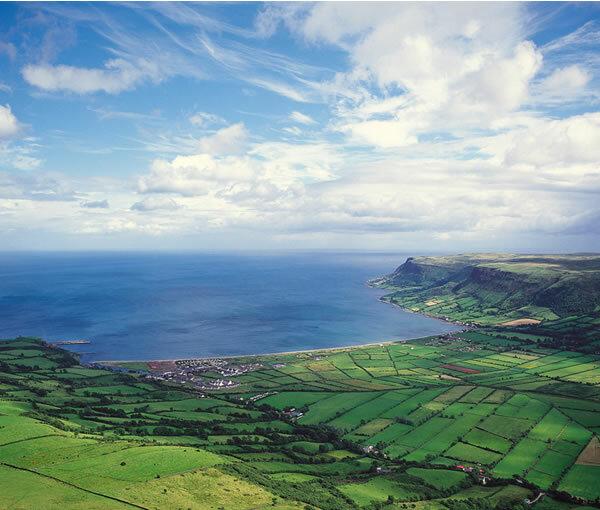 Cushendall lies in the heart of the Glens of Antrim. It's known locally as the 'Capital of the Glens'. Cushendall is a busy village, and a center of activity for the local area. Once shortlisted as candidate for the United Nations Headquarters, there's a wealth of history, culture, art and sporting tradition, and a variety of nightlife from traditional Irish musicians, to the latest live acts from around the country. 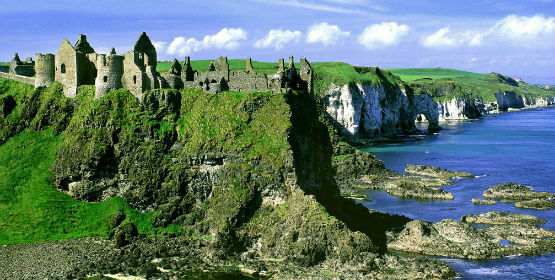 An ancient castle dating back over 800 years, although it was last lived in in 1690. Although in a formidable position, the castle changed hands many times over the years. 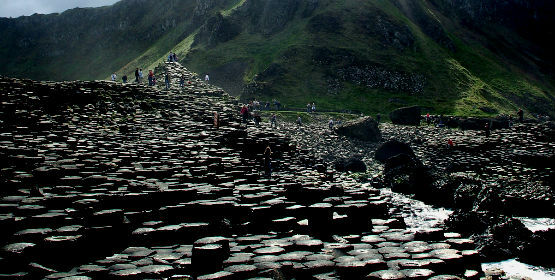 Possibly the most famous geological site in the world, and the source of the legends of Finn McCool, the Fianna his army, and his exploits through the Glens of Antrim and beyond. 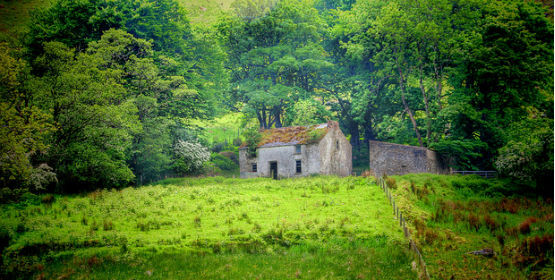 According to local storytellers, Glen Taisie was named after the daughter of King Dorm of nearby Rathlin Island, the glen was given as a Dowry at her wedding to the son of the King of Ulster. The glen is most northerly of the Glens of Antrim and lies at the foot of Knocklayde mountain. 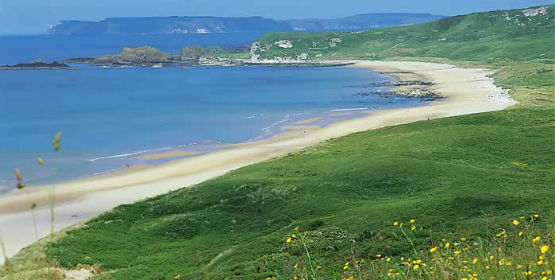 The town of Ballycastle lies on the coast at the foot of the glen. Following the foot and mouth outbreak in 2001, the last animal to be culled was Johann the goat, Randal McDonnell his owner and Moyle council commissioned a local artist Deborah Brown to commemorate Johann and the event. 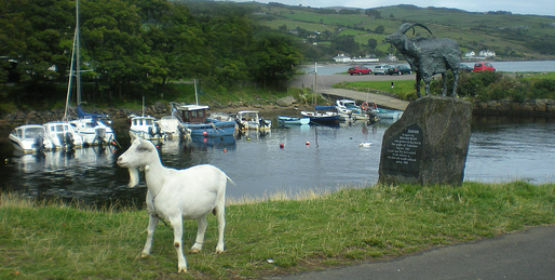 Randal has kept a goat next to the river for many years, and it's part of the fabric of Cushendun. A previous, particularly stubborn, goat in the early 80s was called Maggie. 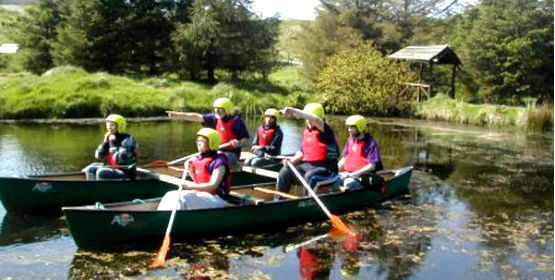 While you're here in the Glens of Antrim, why not try out horse riding, Sheans riding school is world class, and offer a variety of activities from lessons, to trekking, to the faster hacking. 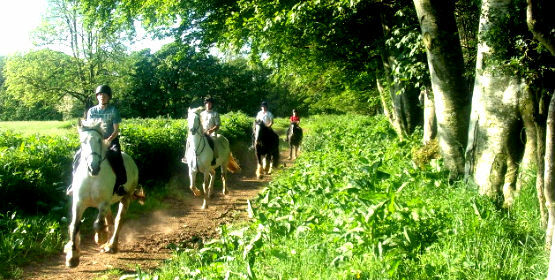 Hacking is a faster version of trekking where, under expert tuition you can learn to take your horse to a canter, and also enjoy the breathtaking scenery.